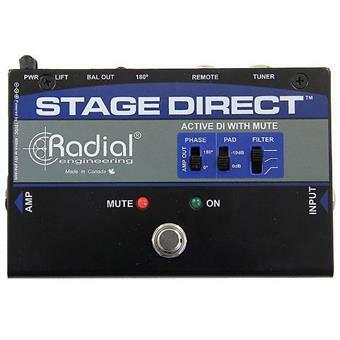 The Radial StageDirect is a state-of-the-art active direct box designed for musicians who require extra control when they are on stage. As with most DIs, the StageDirect is equipped with a Hi-Z input for the instrument, a thru-put for the stage amplifier and a balanced Low-Z output for the PA system. 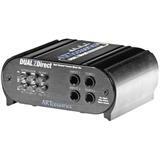 Unlike most DIs, the StageDirect also features a second Hi-Z input, with an AB select footswitch that allows you to instantly change between instruments. 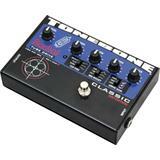 There is also a dedicated tuner out and a mute footswitch that cuts the signal going to the PA and stage amplifier while leaving the tuner output active. 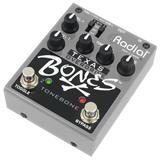 This enables the artist to mute the guitar when not in use or quietly tune in between songs. The innovative circuit design combines a class-A FET input driver with a low noise op-amp to deliver exceptional audio at all frequencies. 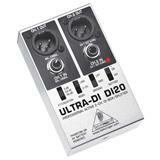 A -10dB pad may be inserted for extra high output instruments such as active bases or electronic keyboards. 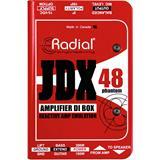 Engaging the high-pass filter gently rolls off excessive bass to eliminate clutter and run-away resonant feedback. 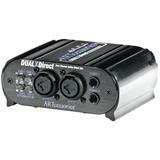 A 180° polarity reverse switch can be used to help phase align the on-stage amp with the PA or eliminate acoustic 'hot spots' on stage by electronically moving the problem out of the way. A pair of full-sized LEDs let you know when the StageDirect is muted or ready to perform. Switching is done locally using the select and mute footswitches, while the mute function can also be controlled remotely by connecting a momentary (non-latching) footswitch to the dedicated ¼" connector. This enables the stage tech to mute the instrument as he hands the guitar to the artist and un-mute it as he walks off stage. 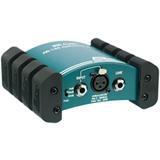 Powering may be done via standard 48V phantom from the mixing console or by using the included 15VDC power supply. 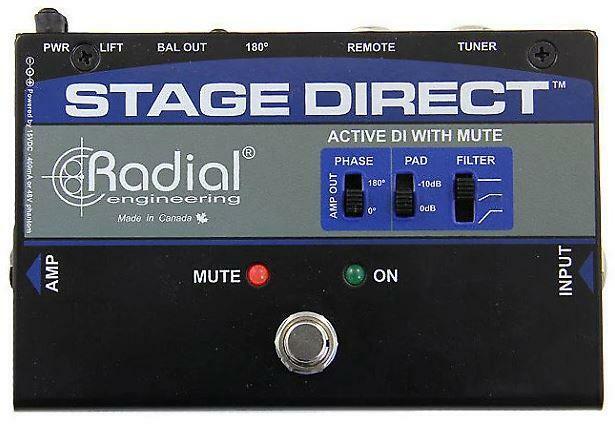 Equally effective for acoustic guitar or bass, the StageDirect works as an extra stage hand by enabling the artist to change instruments without causing switching noise in the PA system. 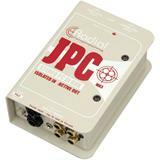 The Radial StageDirect – extra control is just a footstep away! 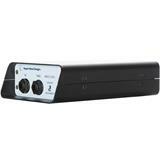 Switch between instruments seamlessly on stage, while sending a clean signal to the PA as well as a stage amp. LEDs provide instant visual feedback to let you know which instrument is active. 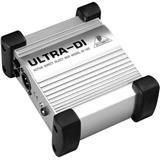 Use the StageDirect to quietly switch between your active and passive basses. Sends a balanced DI signal to the PA while also feeding a stage amp. Use the mute switch to silently tune between songs. 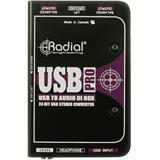 Use a remote switcher like the Radial JR1-M to mute when tuning or changing instrument cables, making it easier for the multi-instrumentalist to focus on their performance and worry less about switching inputs.